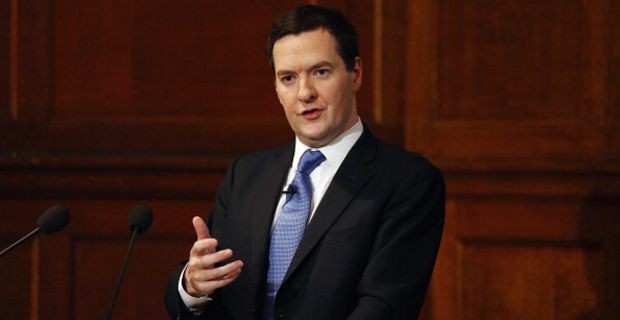 George Osborne has threatened to take Britain out of the European Union unless it conducts major political and economic reforms. It is the starkest message yet from a Conservative party that seems determined to force a flashpoint with the rest of Europe. In the Tories’ latest bid to beat off the challenge of UKIP and quieten down discontent on its backbenches, his warning comes hot on the heels of a letter signed by nearly 100 backbenchers calling for the British parliament to be given a veto over all EU laws. This would of course effectively destroy the whole idea of Europe, as similar veto powers would obviously demanded by all member states. He said: ''Now we have the chance to give the British people a real choice. The biggest economic risk facing Europe doesn't come from those who want reform and renegotiation, it comes from the failure to reform and renegotiate. It is the status quo that condemns the people of Europe to ongoing economic crisis and continuing decline. ''There is a simple choice for the European Union - reform or decline. He then proceeded to critique the EU even further, going so far as to cast it in the role of villain during the financial crisis. ''We knew there was a competitiveness problem in Europe before the crisis. But the crisis has dramatically accelerated the shifts in the tectonic economic plates that see power moving eastwards and southwards on our planet,'' said the Chancellor. ''Over the last six years, the European economy has stalled. In the same period, the Indian economy has grown by a third. The Chinese economy by 50%. Over the next 15 years Europe's share of global output is forecast to halve. ''Make no mistake, our continent is falling behind. Look at innovation, where Europe's share of world patent applications nearly halved in the last decade. Look at unemployment, where a quarter of young people looking for work can't find it. Look at welfare.